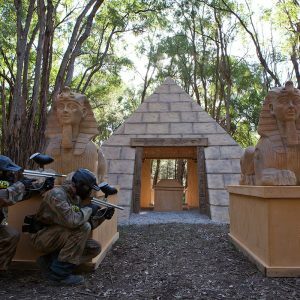 Come and play with Delta Force Paintball these summer holidays and be blown away by our amazing movie-set game zones and incredible equipment. You and your friends will have the time of your lives as you attempt to defend the crypt, storm the ancient pyramid and free your comrades from the warring villagers. Whether you bring your friends, sports team, colleagues or family, you can rest assured that you’ll have an incredible day out on our world-class facilities. We’ve entertained more than 4 million players around the world; many of them first time players however there are also quite a lot of repeat visitors who come back time and again for another chance of paintball glory! See for yourself what all of the hype is about. Not only do we have massive movie-set props and professional staff, but we also have the safest equipment. Although safety is our paramount concern, we never overlook the fun-factor. After all, having fun is what paintball is all about and that’s what our customers care most about. 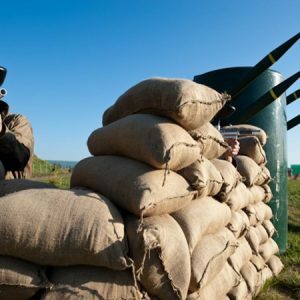 A day of paintball with us is an unforgettable experience for players of all ages. 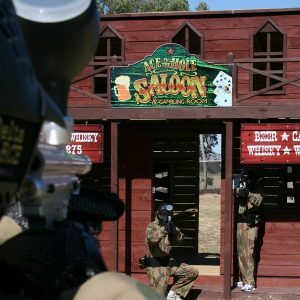 To book your paintball adventure give our booking office a call on 1300 850 744.